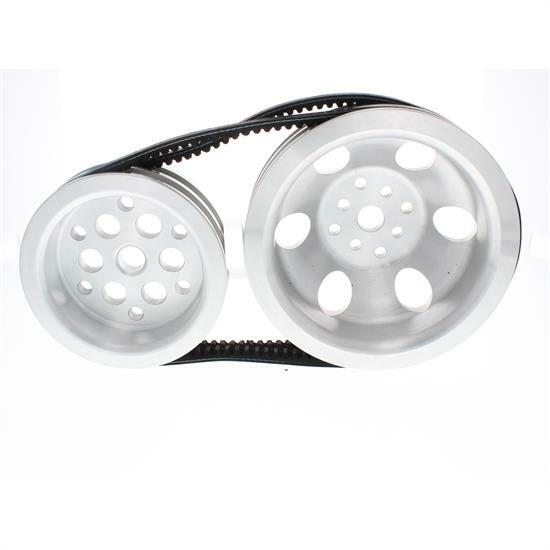 Kit includes a cast aluminum double groove cast aluminum water pump pulley, crank pulley, and a matched pair of heavy duty belts. Slows water pump speed by 30% for increased horsepower. Fits Small Block Chevy V8 with '55-'68 short-style water pump with 3/4" shaft. Get the correct pulleys for your application by learning which water pump you have as explained in our tech article. SBC - Short vs Long Water Pump. Pat talks about our red solid core spark plug wire and rajah ends. In preparation to transplant a 430hp 383 stroker into Project Chevelle, Zach R. made up a set of plug wires for the car. To keep it nice and tidy they needed to be routed just right, be the perfect length and not distract from the engine! Kevin W. walks through each step of installing a new alternator bracket on a 454 Big Block Chevy. Are you a collector of automotive signs? This is a DIY project where you will learn how to convert a hardwired sign to a plug in. Jess M. explains each step to get the job done! Are you an avid car show attendee? Here are 10 must have tools for car shows and road trips. One of the most important parts of your racing operation is the engine. This article gives a detailed overview on how to maintain your engine to get the most out of it for as long as possible. Also learn some tips to prolong the life of your engine.